On Sunday, Nov. 17, Troop 50 honored its third Eagle Scout of 2013 -- this one being Daniel Meadows, who was joined by family and friends for this singular Scouting honor. Senior Patrol Leader Andrew called the ceremony to order, and Troop Committee Chair Rob Stanford offered an invocation. Daniel's father, Bobby, who also serves as the Saugahatchee District's advancement chair, narrated the "Voice of the Eagle," which outlined the steps along the Trail to Eagle that Daniel completed during his Scouting journey. He then brought out a walking stick that had accompanied Daniel, Karla, and him on many of the camping experiences they had shared over the years. It was adorned with decorations marking his advancement milestones and camping experiences. His father noted that, while a new emblem denoting the achievement of earning the rank of Eagle appeared on the staff, there was much more room for Daniel to document his continued Scouting journey and adventures. Daniel takes the Eagle Scout Promise. Scoutmaster Andrew Baird explained the significance of a Scout earning the rank of Eagle and; after having Daniel, his dad, and his mother Karla escorted to the place of honor; administered the Eagle Scout Promise to Daniel -- with other Eagle Scouts in attendance joining in the recitation. Next, Daniel's mother presented him with his Eagle Scout medal and his father presented him with his Eagle Scout neckerchief slide. In turn, Daniel presented Eagle Scout Mom and Eagle Scout Dad pins to each of his parents. Michael Tullier, chartered organization representative, presented Daniel with a membership in the National Eagle Scout Association (NESA) on behalf of the troop, as well as a Chattahoochee Council Eagle Scout council strip. He also announced Daniel's "promotion" to junior assistant scoutmaster in recognition of obtaining the rank of Eagle and presented to him a position patch for his uniform. Daniel then expressed his appreciation to everyone attending the ceremony. He summarized his Eagle Scout project, which was cleaning and staining a tower at Opelika High School where he is a student and band member. The tower is used by the marching band's director during band practice. He also constructed a table to be used by the band director at the top level of the tower. He then thanked those who had helped him achieve this milestone -- with special appreciation, and the presentation of an Eagle Scout Mentor pin, to his dad. After the ceremony's conclusion, those in attendance enjoyed refreshments and took the opportunity to congratulate Daniel personally. For all the pictures from Daniel's Eagle Scout Court of Honor, visit the troop's online photo album. 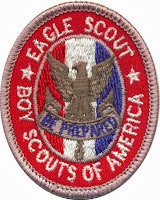 From the time the Eagle Scout rank was first presented in 1912 through its centennial year in 2012, more than two million Boy Scouts have earned the rank. Last year, 57,976 Scouts earned the Eagle Scout rank — more than in any previous year and around 7 percent of all Boy Scouts who were members in 2012. 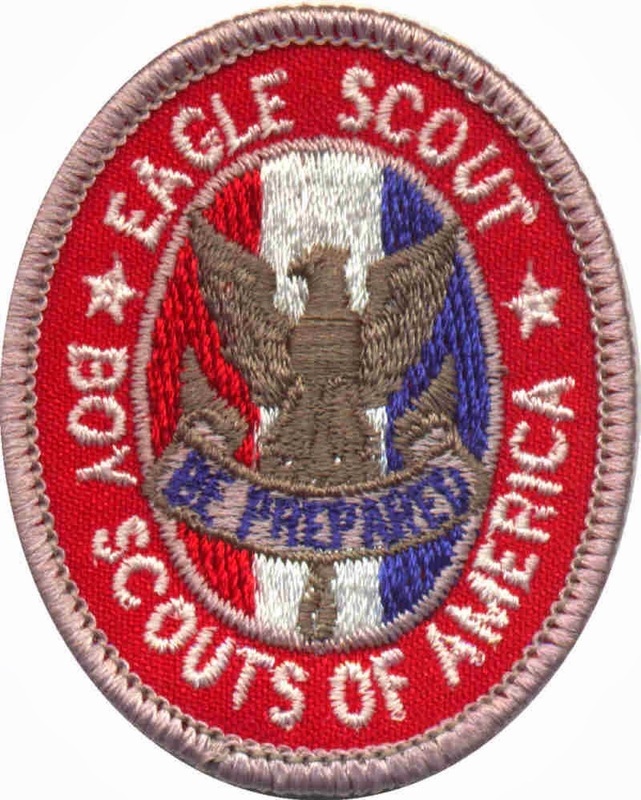 The average age of boys earning the Eagle Scout rank last year was 17 years of age.